Due to the huge success of last years jumpers, the CSLS has decided to release new jumpers in 2018! Choose between black or white and rep the law school you know and love. This year's design is embroidered! 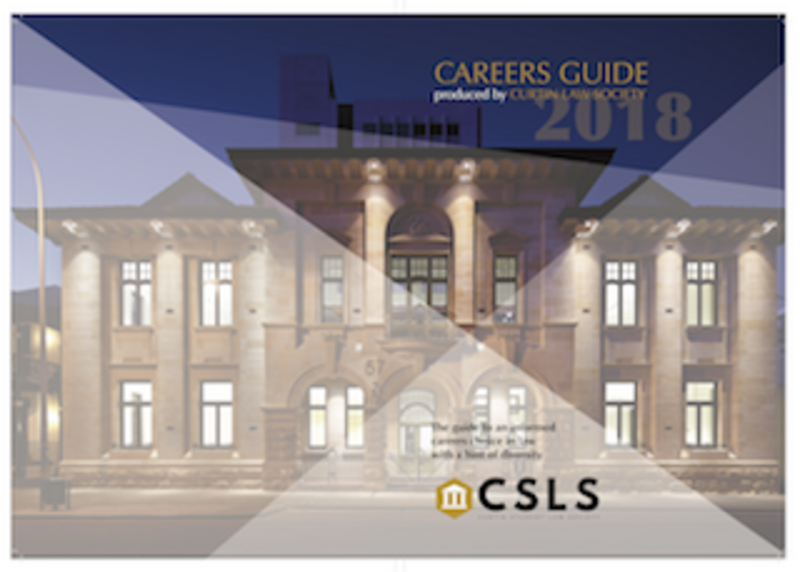 The CSLS Careers Guide is back with a vengeance. This visual spectacle will immerse you in a legal world of helpful tips, life experiences and industry knowledge. The 2018 guide includes articles written by fellow student, leading academics and industry leaders. Explore the many and diverse opportunities that await a legally qualified mind. Maybe you'll even stumble across your legal calling tucked away in the words on a page? These stunning paperback guides are selling for just $10 + b.f. Guides are numbered, so make sure you don't miss out in what is sure to be... the talk of the terrace.